The US Department of Homeland Security has identified transportation as one of three top sectors in creating a Smart City. The Department also addressed the fact that the same technologies driving this digital transformation - smart sensors, fare collection systems, power relays, HVAC, cameras, and other unmanaged IoT devices – are also expanding the cyber attack surface and pose significant security risks to both citizens and critical assets. The challenge before transportation administrators, state and local officials and security and IT experts is how to enable these beneficial systems while also ensuring optimum security protections. 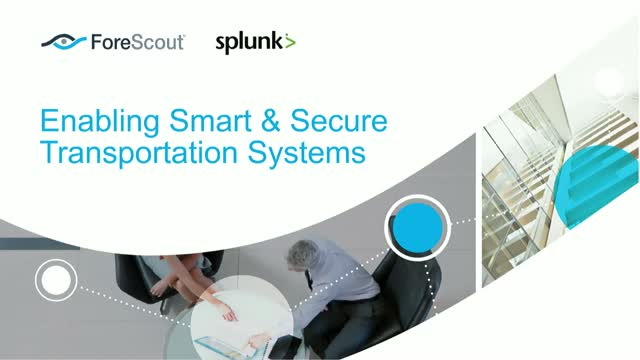 Join us for this insightful webinar on the state of Smart Transportation initiatives and how you can gain the visibility and control you need to drive both Smart AND Secure Transportation to benefit your community.